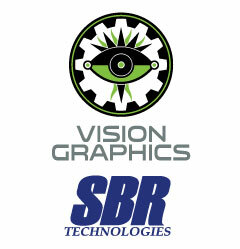 We would like to thank SBR Technologies / Vision Graphics for their generous support for the upcoming tournament and fundraiser benefitting The Huntsman Cancer Foundation! With its beginnings in 1966, SBR’s roots were established in quality, service, and personal attention. Today, those same qualities are built into everything we produce. SBR prides itself on the finest in reprographics. Over the years, we have invested in our ability to provide our clients with the finest visual communications products and services. Additionally, we have invested in our people and processes in order to ensure the best experience for our clients. We want our clients to come back often, and that only happens when we provide a superior value and experience. Moving into the future, we are bringing digital signage to our portfolio of visual communication solutions. Everything we do is focused on helping our clients be noticed, and noticed for all the right reasons. All we ask is that you give us the chance to earn your business. And, to all of our clients who keep coming back, we thank you, and we’ll work to honor that trust.